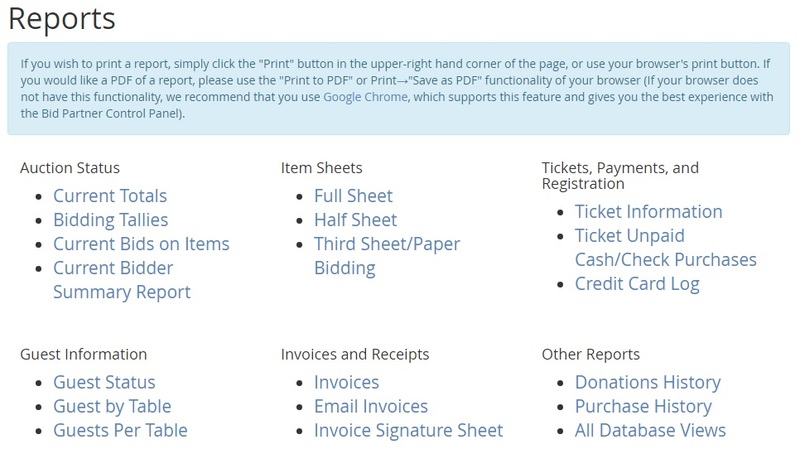 The reports section allows coordinators to access reports before, during and after their event. We look forward to showing examples of reports while we demonstrate our system at your convenience. Our system helps nonprofits with all their charity events and auctions to assure everything runs smooth and understand the result after the event.